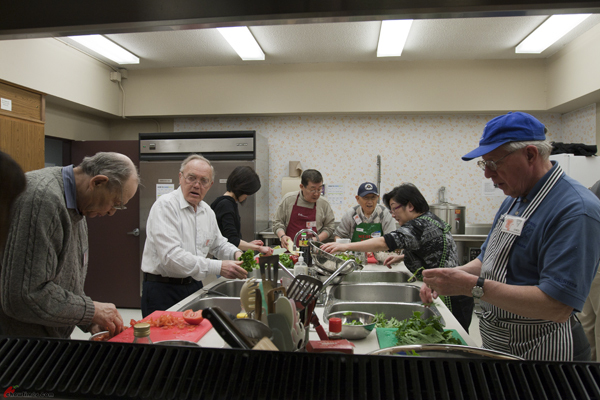 For this South Arm Cooking Club for Seniors kitchen, we were delighted to have fresh vegetables harvested from the community garden at South Arm Community Center. 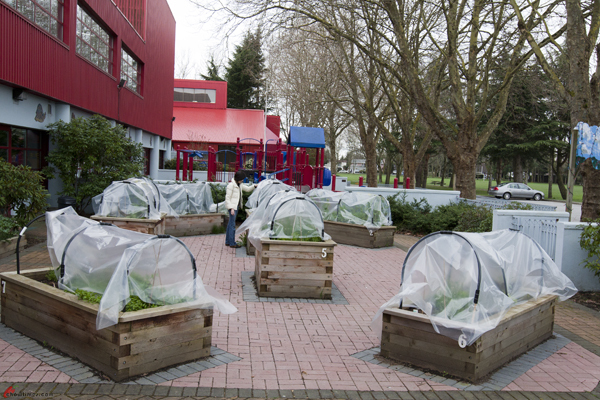 This community garden is managed by some seniors and some high school student volunteers. 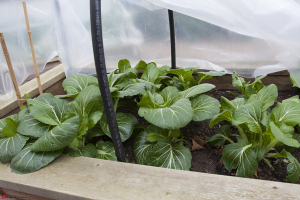 These vegetables were grew in the late fall and they had survived through the winter in the make shift green house. There is very little maintenance needed during the winter, just some weeding. 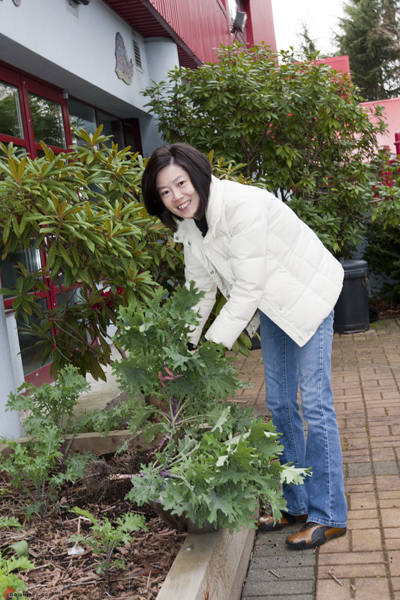 Stella, the seniors coordinator of South Arm Community Group is seen here harvesting some kale from the garden. 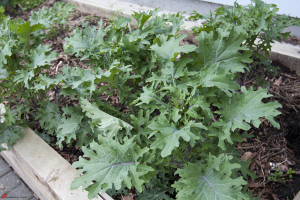 Kale grows well into the winter. It does not need any covering during the winter months. Kale has powerful antioxidant and anti-inflammatory properties. 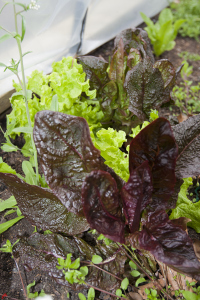 It is rich with beta carotene, vitamin C, vitamin K and calcium. 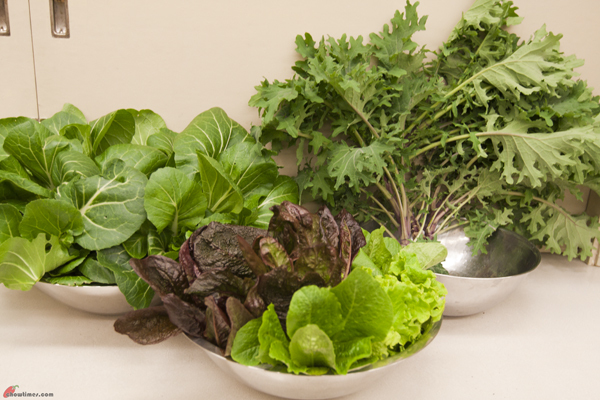 Besides kale, Stella also harvested bok choy and lettuces from the garden. Marian planned her recipes to include all these wonderful harvest. The seniors were seen here busy cleaning and preparing the vegetables for a nutritious lunch. 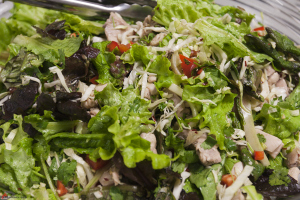 For the lettuces, the seniors made a Thai Chicken Salad. 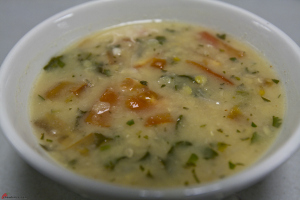 The seniors made a Lentil Soup with Tomatoes and Kale and some Kale Chips with the harvested kale. 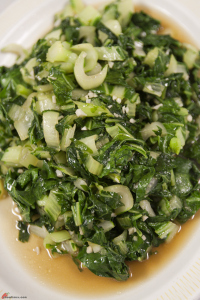 For the bok choy, the seniors make a quick stir fry with garlic, oyster sauce and sesame oil. Nothing beats the freshness from the garden harvest. There were some leftover vegetables which were donated to the Richmond Food Bank.